With up to 100 hours freezing capacity following a power interruption, the Haier Thermocool HTF146Silver Chest Freezer, holding up to 146-Litres of storage, is perfect for any occasion. Up to 3 years warranty will guarantee that your new freezer is working in top condition, however the anti-rust protective zinc coating will ensure that you will rarely need such service. 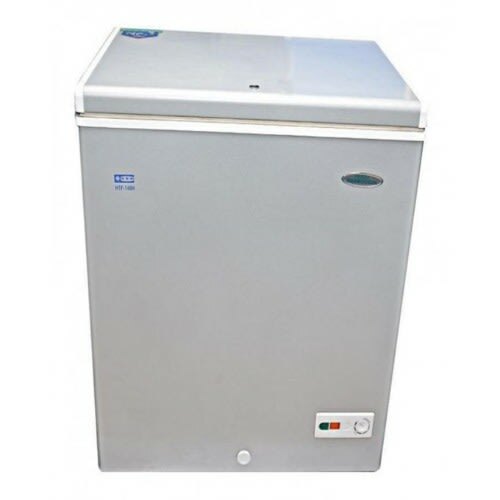 Coupled with low noise operation, this freezer is ideal for compact yet powerful freezing storage in your house. The zinc coated body protects the freezer from rust.